(17/P99) TRENTON – The Department of Environmental Protection’s is honoring four people and organizations today with the 2017 Green Communities Achievement Award, recognizing them for outstanding contributions to urban and community forestry, Commissioner Bob Martin announced today. The 2017 recipients are: James Cunningham, New Jersey Tree Foundation Green Streets Crew Supervisor; Joseph McCartney, West Orange Open Space Commission chairman; the city of Clifton; and the Rutgers Cooperative Extension Water Resources Program. The awards will be presented this evening at the New Jersey Shade Tree Federation’s 92nd Annual Conference Dinner at the Crowne Plaza, Cherry Hill. 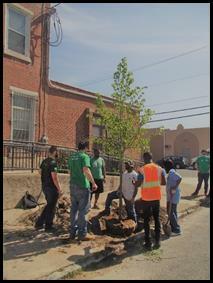 Exemplary work in urban and community forestry, whether public or private, is eligible for the awards program. The Green Communities Awards recognize up to four recipients per year in the following categories: Individual, Municipality, Forestry/Arboricultural Industry, and Non-profit/Non-governmental organization. 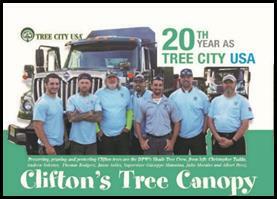 Providing exceptional effort and meritorious contributions to the field of urban and community forestry in New Jersey. This year’s awardees exemplify the spirit of this award. Awardees are selected by the New Jersey Forest Service Urban and Community Forestry Program, the New Jersey Community Forestry Council and the New Jersey Tree Foundation.